Competition for visibility in search results is fierce, especially in today's mobile-ready world. Having the right marketing strategy to reach online and mobile users is more crucial than ever. FTD Local Search can maximize your pay-per-click budget to help increase the visibility of your website in premier search engine results. The robust, mobile-ready online marketing program manages the entire process from keyword research and bidding to ad creation and performance reporting, to save you time while improving your search position online. 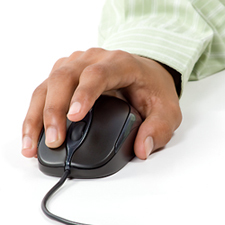 Click Here to request additional information about Pay-Per-Click.